keep your photo collection organized! 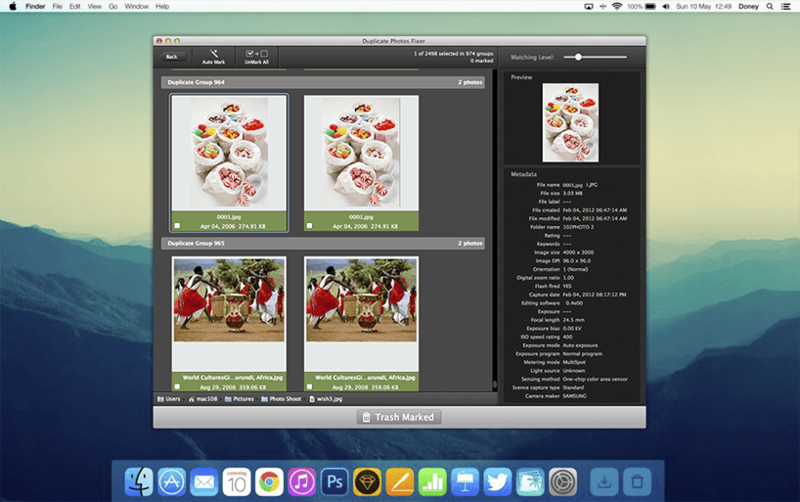 Duplicate Photos Fixer Pro helps you in removing multiple copies of identical and similar images, thereby resulting in a trim and organized photo collection. The best part? It's all automated! You don't have to sift through hundreds of photos manually. A few simple clicks and you're done! Add a folder, a collection of photos or iPhoto Libraries to the scanning list. 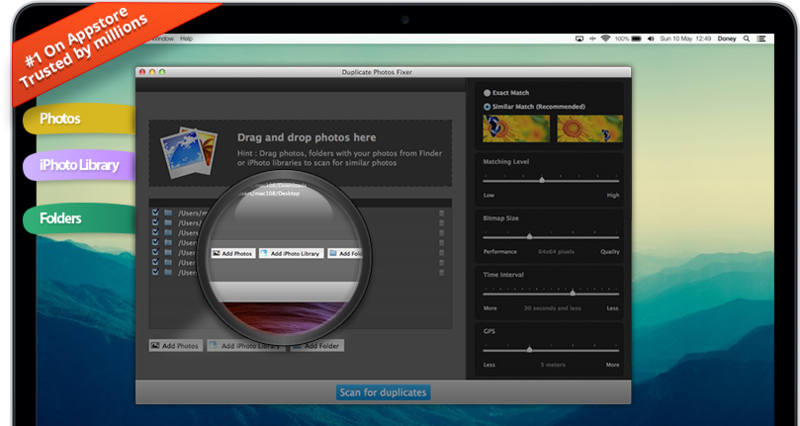 You can also drag and drop the files to the scanning list to search for duplicate or similar looking photos. After adding photos, define whether you want to search for exact photos or similar ones. Set the matching level along with various other criteria to improve the accuracy level of the search results. Click "Scan for Duplicates" button to start scanning for duplicate photos based on the criteria set by you. The program will complete the scan and display duplicate/similar photos found in groups. Once the scan is complete, you can delete multiple versions of the duplicate/similar photos found with a single click; thereby freeing up precious disk space. 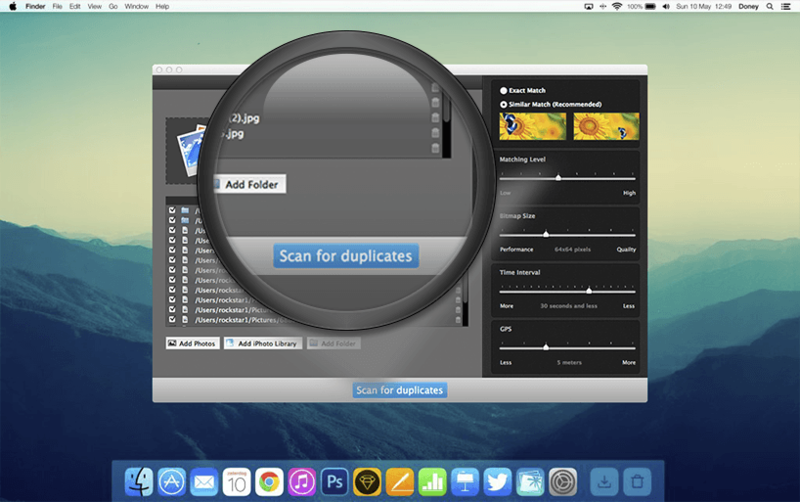 Duplicate Photos Fixer Pro is a simple yet powerful tool which can save you from manually sifting through hundreds of duplicate and identical looking photos. Simply set the criteria on which you want to perform a scan and remove unneeded copies of images in a jiffy. It not only helps in saving precious disk space but also your valuable time. You can even remove duplicate images from external devices like pen drives, etc. 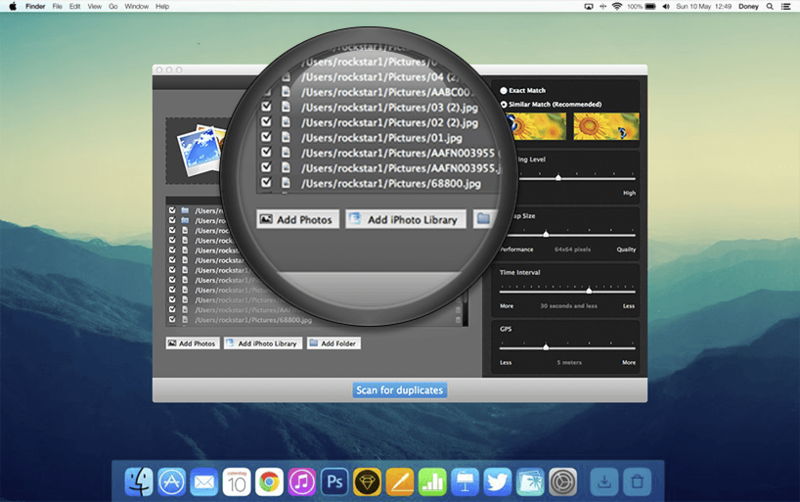 If you like to keep your photo collection organized and clutter free, Duplicate Photos Fixer Pro is just the tool you need to get the job done! 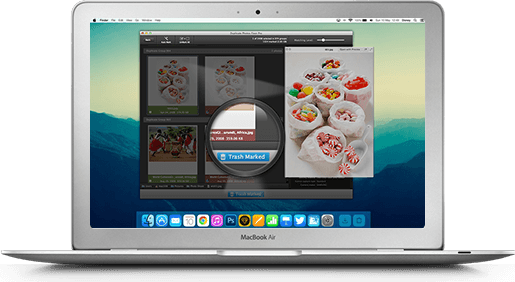 It helps you remove duplicate and similar images from folders, iPhoto Libraries and any directory of your choice easily and quickly. Save valuable disk space and your precious time with this nifty little tool. 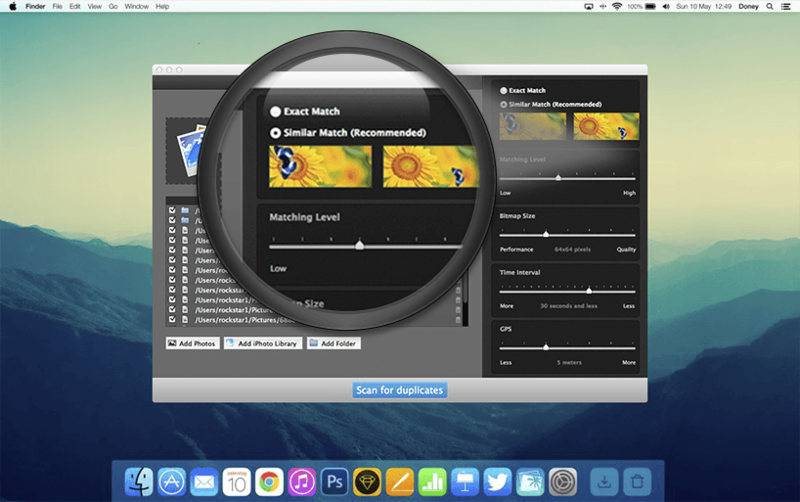 You don't need to remove each and every duplicate photo from your collection manually; simply get Duplicate Photos Fixer Pro to do the job for you! Save disk space, save time!